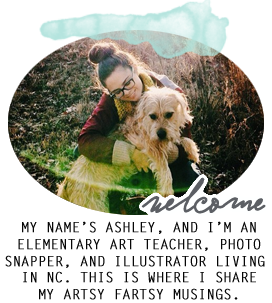 An art teacher friend of mine asked me about a couple of lessons I did last year, so I decided to blog a little bit about them. First of all, the book "The Runaway Pumpkin" is SO cute. 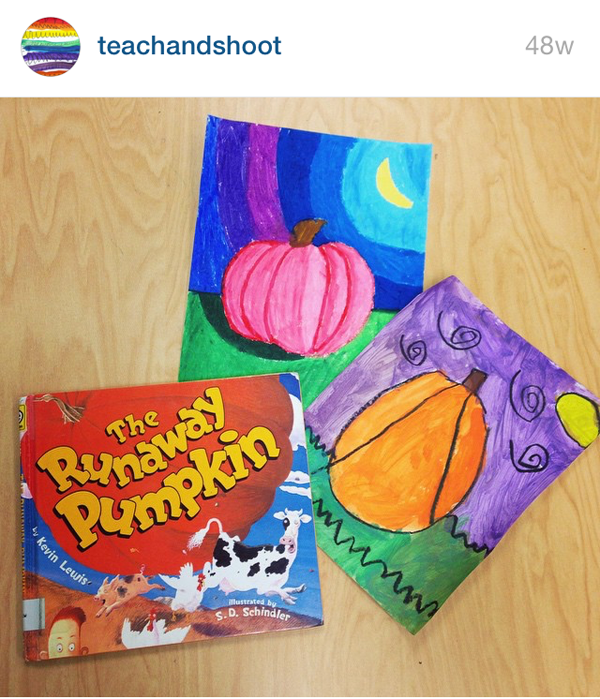 I think any pumpkin book would be great to go along with a pumpkin lesson, but this one is rhythmic, rhyming, and funny. I only read this with kindergarten, but it's pretty funny for k-3. 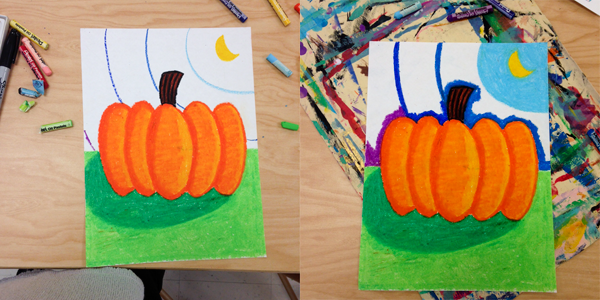 We touched on color value for this lesson. We didn't really dive in to color mixing or anything, but we talked about how light and dark colors can show shadow and light. 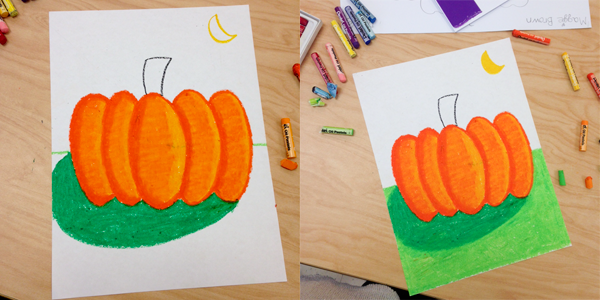 The kids chose 2 pastels, one dark and one light, of a similar color. 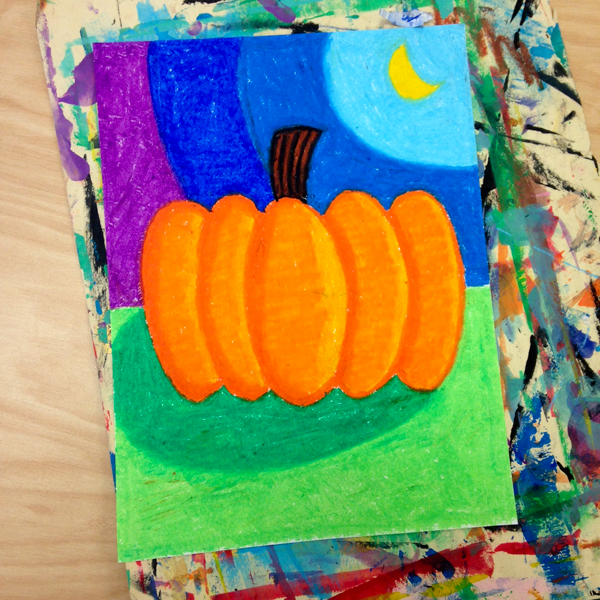 Using the darker color, they drew the pumpkin, followed by a few background details including a light source [sun or moon]. 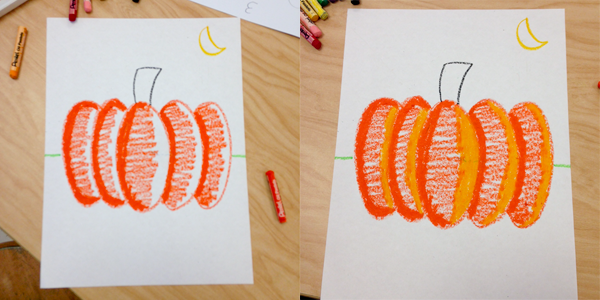 They colored the side of each pumpkin "bump" that was farthest away from the light source with the darker color. Then they scribbled in the middle of each bump with the dark color followed by coloring the other side of each bump with the lighter color. They used the lighter color to blend and then re-outlined the pumpkin. They added a shadow with a dark ground color. [Some chose to do hay as their ground or dirt, so they used browns instead of greens]. The sky also had to show value [lighter near the light source, getting darker farther away]. The kindergarten lesson is pretty self-explanatory. 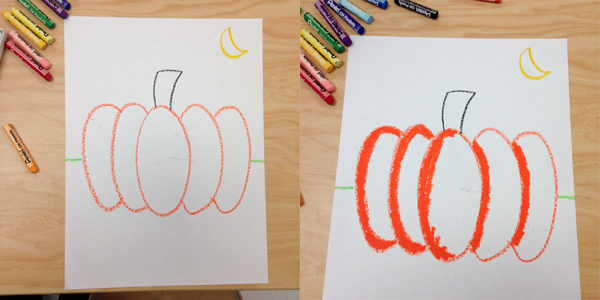 Using a black crayon we drew the pumpkin [oval plus bumps], zigzag lines for the ground, swirly lines for the wind, and the moon. 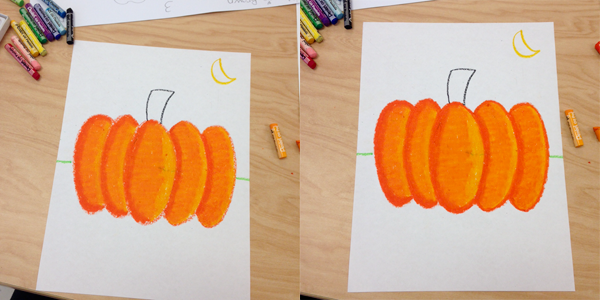 We used secondary colors [except for the stem and moon] because this was a secondary color review. I hope you found this post helpful! Let me know if you have any questions in the comments! These are wonderful! Thx for sharing!! 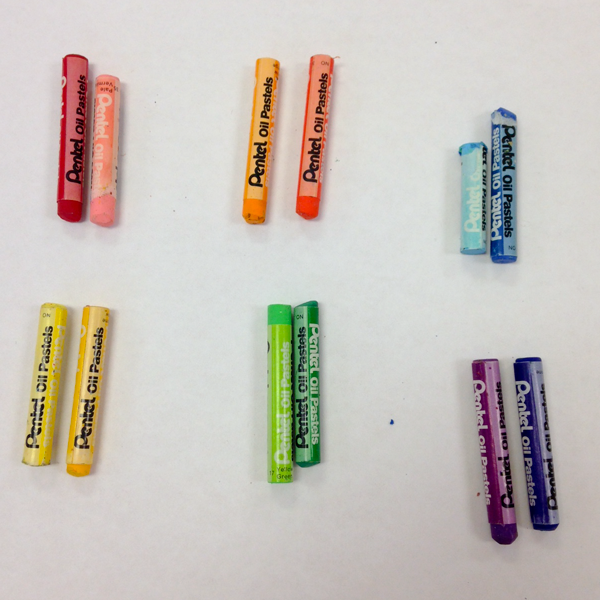 Did you use watercolor with the kindergarten and did you have them mix the colors? 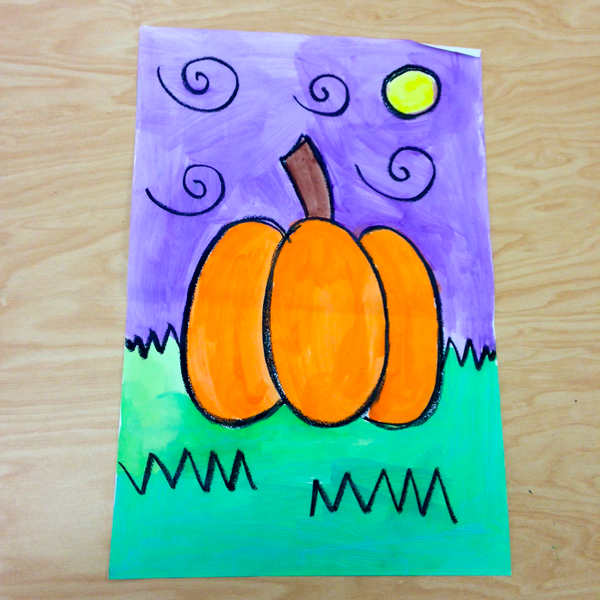 Lovely art lessons for pre-k kids! Want to enroll my son in pre-k and searching online for best pre-k locally. Found a Phoenix pre-k, liked it a lot and now planning to get him enrolled there. Hope it’s a good decision.